Students use black fine line markers to explore the drawing technique of Canadian illustrator C. W. Jefferys. Notice how Jefferys repeats lines to create dark, medium and light values. Find 7 different combinations of line patterns. Choose some dark, some medium and some light values. 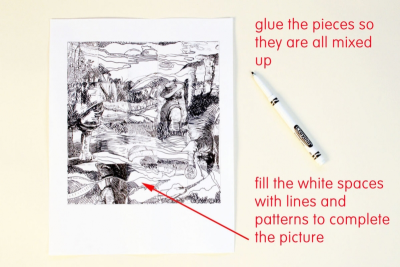 Use a black fine line marker to draw those patterns in the boxes above the picture. Connect the lines along the outside of the picture to make 20 rectangles. Cut the picture along the lines to make 20 pieces. 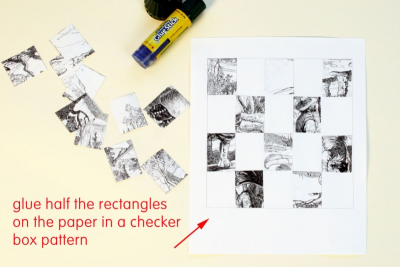 Glue half the rectangles on the paper in a checker box pattern. Glue them so they match the picture OR in a random order so they are all mixed up. Glue the pieces so they match the picture. Use a black fine line marker to fill the white spaces with lines and patterns that connect with the lines and patterns on all 4 sides of the glued rectangles. Glue the pieces in a random order so they are all mixed up. Download and display the Line, Pattern and Contrast posters available on this website. 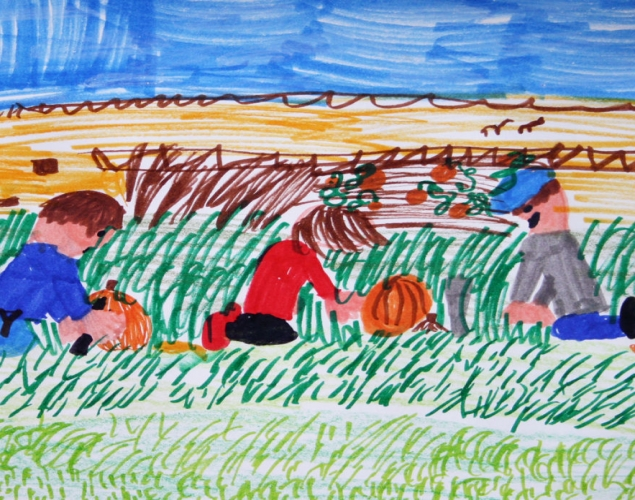 View and discuss the worksheet image drawing attention to the different ways line, pattern, contrast and value have been used. Discuss how value can be used to create contrast and depth in a drawing. - is recognized for his work by people from around the world. Explain that this lesson uses C. W. Jefferys as a mentor artist. - What can they learn from him? 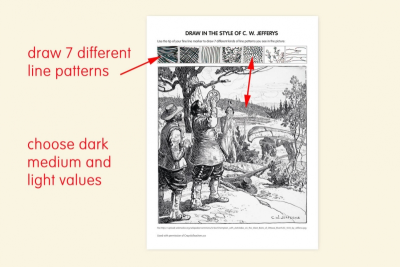 Use lines and patterns to create a variety of values. 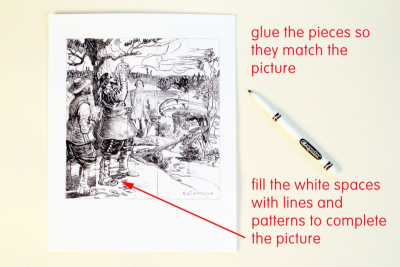 Complete a drawing exercise using the style of C. W. Jefferys. 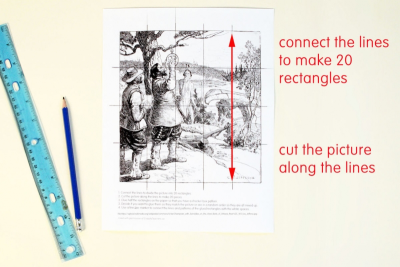 Remind students to notice the amount of pressure they use when drawing with the fine line marker.